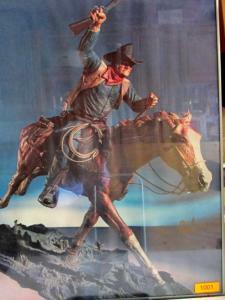 1001 John Wayne Poster based on sculpture by Jackson of Wyoming. 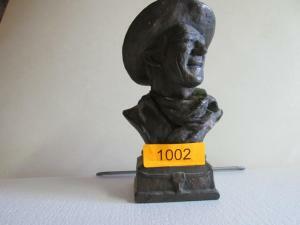 1002 Bust of John Wayne – American Hero – Billie Burns Approx 9″ H by 3.5″ W Bronze colored. 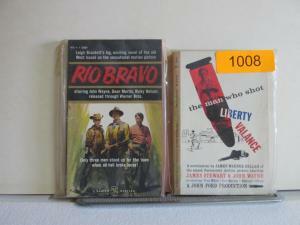 1008 Lot of two ” Rio Bravo” and ” The Man Who Shot Liberty Valance” John Wayne adventures. 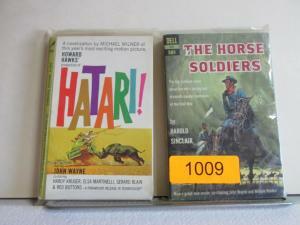 1009 Lot of two “The Horse Soldiers” and “Hitari” John Wayne adventures. 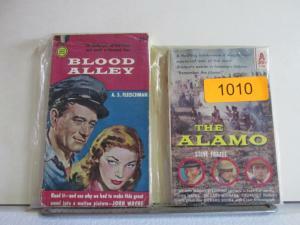 1010 The Alamo and “Blood Alley” John Wayne Adventures. 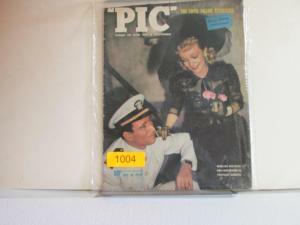 1011 John Wayne and Marlena Dietrich lot of two Film Biographies. 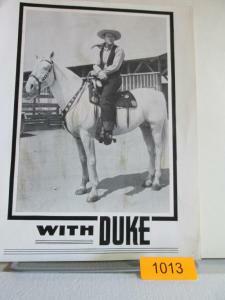 1013 John Wayne Promotional Photos un-framed lot of two John Wayne holding a pistol and John Wayne on Duke the Wonder Horse. 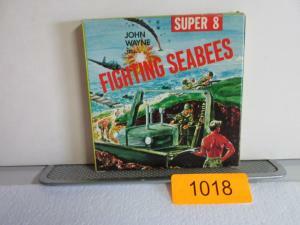 1019 COLLECTOR’S 8mm Reel Film unused in original box. 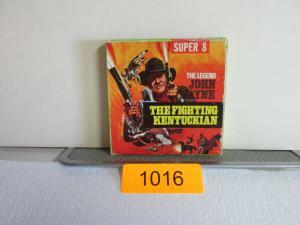 “HELL FIGHTERS” issued by Universal 8 Films. Date unknown. 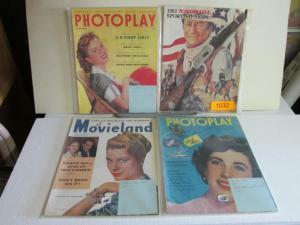 1020 Lot of 4 Vintage Magazines featuring John Wayne and other celebrities of the era. 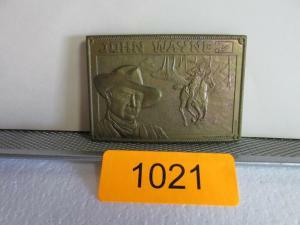 1022 Custom Bronzed Metal Buckle for Wayne, Levy,& Gardner Made in England Limited Edition #1039 Embossed John Wayne signature. 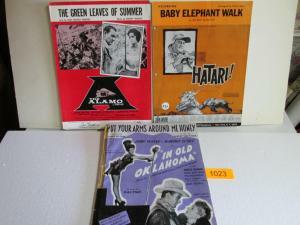 1023 RARE Set of three Sheet Music “Baby Elephant Walk” from Hatari, “Put your Arms around me” from Old Oklahoma, “Green Leaves of Summer” the Alamo. 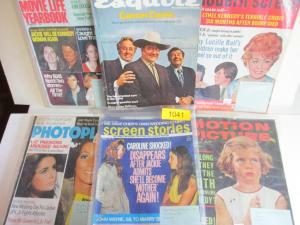 1024 Lot of 4 Vintage Magazines featuring John Wayne and other celebrities of the era. 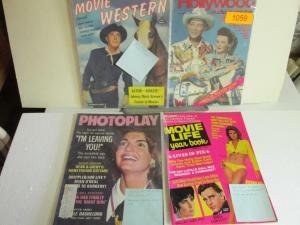 1025 Lot of 4 Vintage Magazines featuring John Wayne and other celebrities of the era. 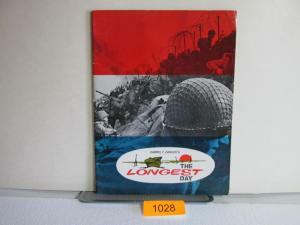 1029 Collection of four paper backs. 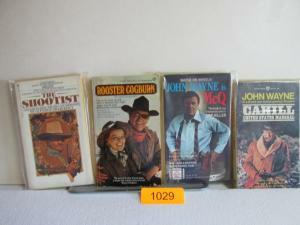 “Shootist”, “Rooster Cogburn,” “Mc Q”, “Cahill”. 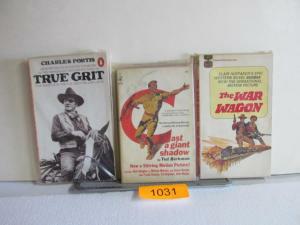 1030 Collection of four paper backs. 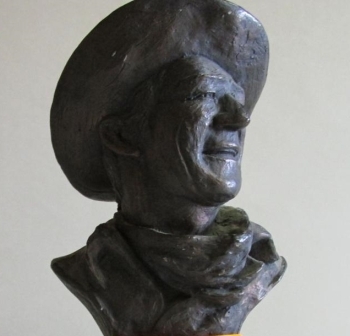 “The Cowboys”, “Big Jake”, Chisum”, “The Un-Deafeted”. 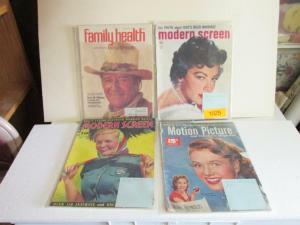 1032 Lot of four John Wayne featured magazines including other celebrities of the era. 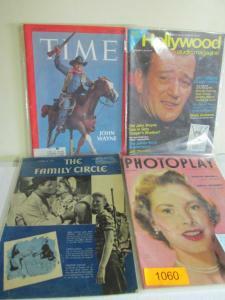 1033 Lot of four John Wayne featured magazines including other celebrities of the era. 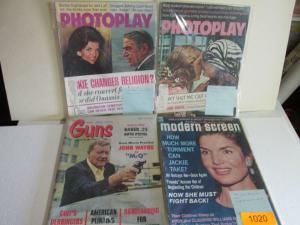 1034 Lot of four John Wayne featured magazines including other celebrities of the era. 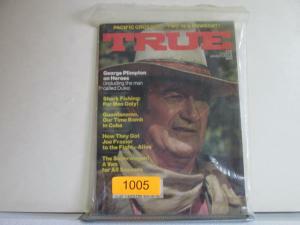 1035 Lot of four John Wayne featured magazines including other celebrities of the era. 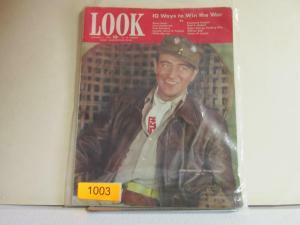 1036 Lot of four John Wayne featured magazines including other celebrities of the era. 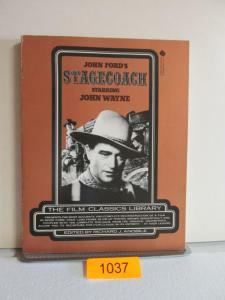 1037 The Making of Stage Coach Book By Richard Anobile. 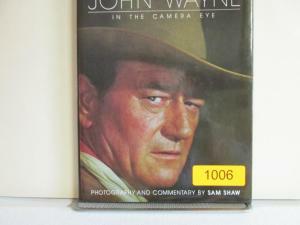 Movie by John Ford. 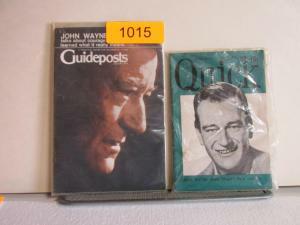 1038 Lot of four John Wayne featured magazines including other celebrities of the era. 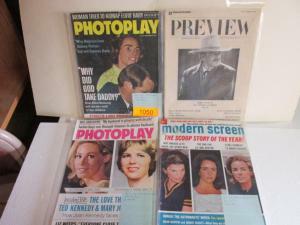 1039 Lot of four John Wayne featured magazines including other celebrities of the era. 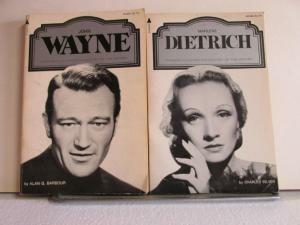 1040 Lot of four John Wayne featured magazines including other celebrities of the era. 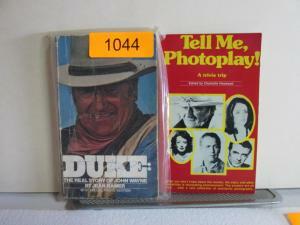 1041 Lot of two John Wayne Biographies. 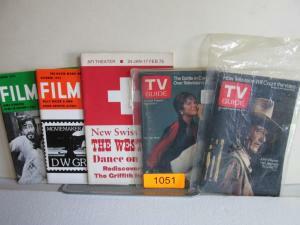 Paperbacks good condition. 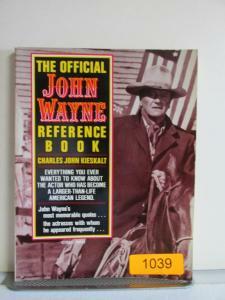 1042 Lot of two John Wayne Biographies. 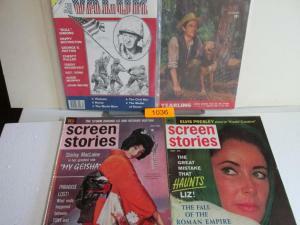 Paperbacks good condition. 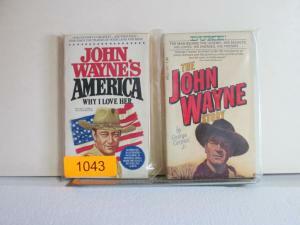 1043 Lot of two John Wayne Biographies. 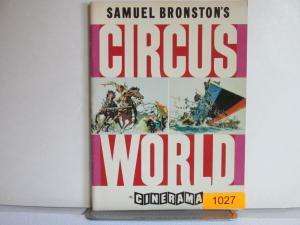 Paperbacks good condition. 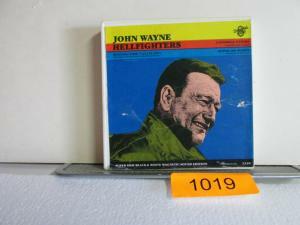 1044 Lot of two John Wayne Biographies. 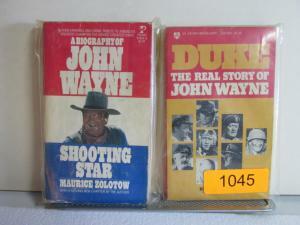 Paperbacks good condition. 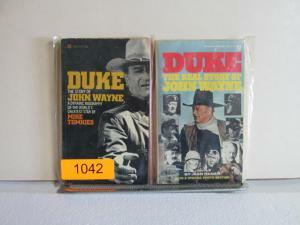 1045 Lot of two John Wayne Biographies. 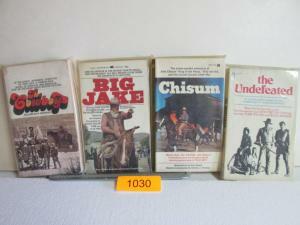 Paperbacks good condition. 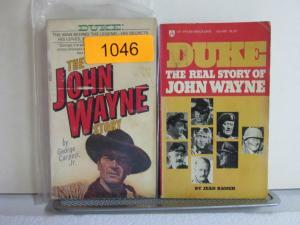 1046 Lot of two John Wayne Biographies. 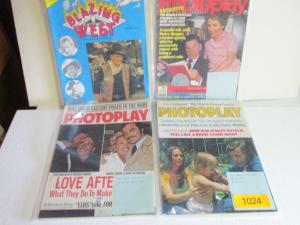 Paperbacks good condition. 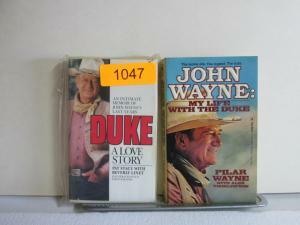 1047 Lot of two John Wayne Biographies. 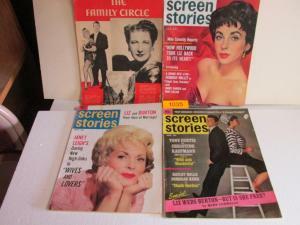 Paperbacks good condition. 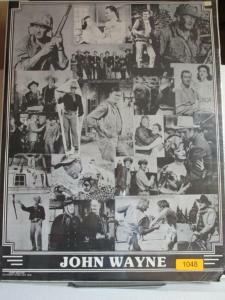 1048 JOHN WAYNE Blackand White Poster. Collage of his best films. 29 inches x 22 inches. 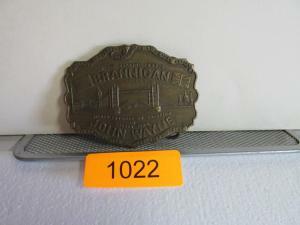 Small tear in lower right corner. 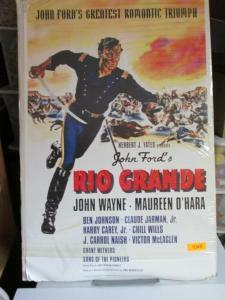 1049 JOHN WAYNE Color Poster for John Ford’s “RIO GRANDE”. 40 inches x 27 inches. 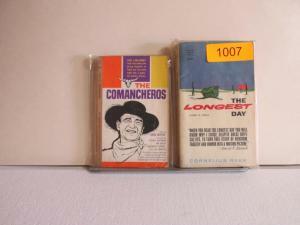 Some damage on edges but covered in plastic. 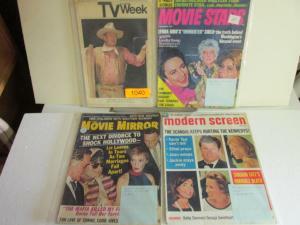 1050 Lot of four John Wayne featured magazines including other celebrities of the era. 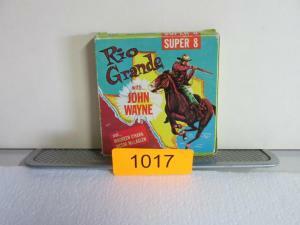 1051 Five misc. 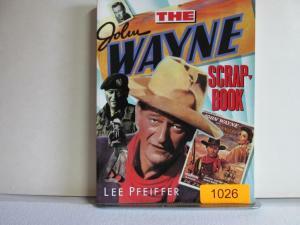 small paperbacks featuring John Wayne stories. 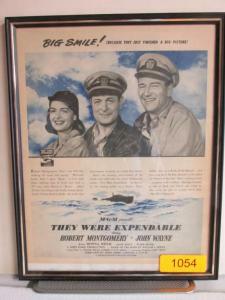 1052 Book “THEY WERE EXPENDABLE” Hard cover. W.L. 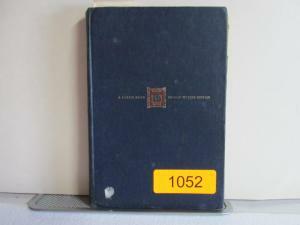 White 1945 with illustrations. 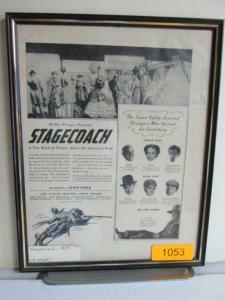 1053 STAGE COACH publicity picture. Framed 11″ x 14″ Black and White. 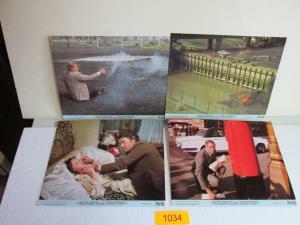 1054 THEY WERE EXPENDABLE publicity picture. Framed. 11″ x 14″ Black and White. 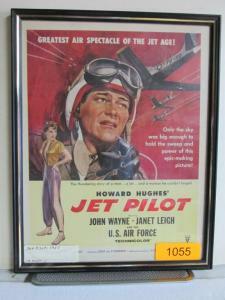 1055 JET PILOT publicity picture framed. 11″ x 14″. 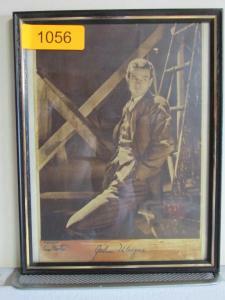 1056 Young John Wayne Portrait print 1939. Approx. 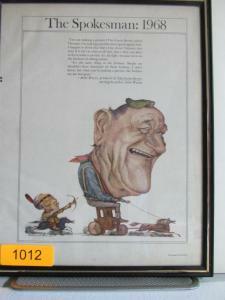 8.5″ x 11″ framed. 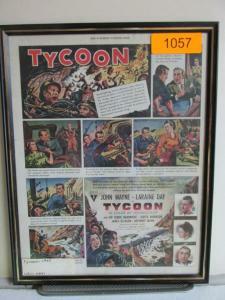 1057 TYCOON John Wanyne publicity movie picure. 11″ x 14″ framed. 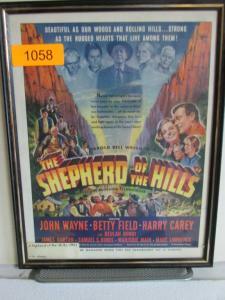 1058 SHEPHERD OF THE HILLS publicity picture. Color. 11″ x 14″ framed. 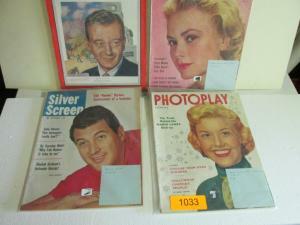 1059 Lot of four John Wayne featured magazines including other celebrities of the era. 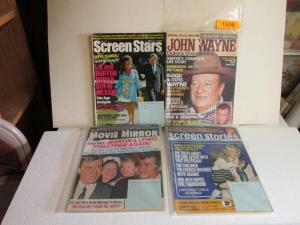 1060 Lot of four John Wayne featured magazines including other celebrities of the era.